There is One Thing - It existed before the earth and skies came into being, and it will exist long after they all have disappeared. The heavens and earth could appear a thousand times and be destroyed ten thousand times, but this One Thing would not change at all. just a spray of water in comparison to this ocean. This One Thing is incomparably brighter than a trillion billion suns and moons, and it constantly lights up everything. This absolute Great Light is beyond light and dark, and yet it lights everything that exists. but you would never be able to explain it to anyone. This One Thing is called "Buddha" by those who have become enlightened. It is beyond the agony of life and death, and those who know it become free-flowing for the rest of eternity. But those who have not become enlightened to this One Thing continue to struggle and suffer in the sea of life and death, in the everlasting cycle of the four forms of birth and the six realms of sentient existence. Even the tiniest form of life includes this One Thing. Both an enlightened Buddha and an unenlightened ant possess it. The only difference between them is that one knows it and the other doesn't. It is so brilliant and astounding that even the Buddha and Bodhidharma cannot look at it when they raise their eyes. They can open their mouths, but cannot describe it. They and all our other Zen patriarchs become merely blind and mute in the face of it. All one can do is to become enlightened to it, and then become totally free-flowing in it. 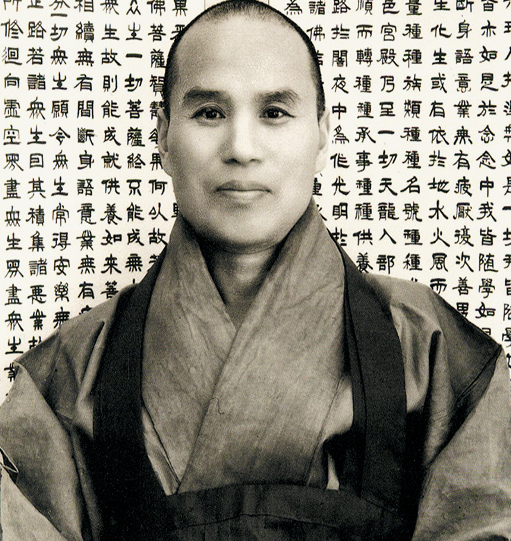 Tong Songchol (1912~1993), one of the great Zen masters in the last century was also called the Living Buddha of Korea. More to the point. . . a non-dual entity. I can't seem to find any books to buy with the teachings of Tong Songchol, except for 1 on Amazon for $95. Where are you getting his teachings from? Or can you direct me to where I can buy the books? Thanks!